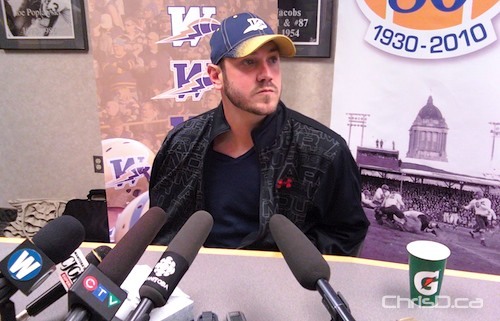 Winnipeg Blue Bombers quarterback Buck Pierce will be signing autographs and selling his new potato chips for a cause. On Tuesday, July 10, Pierce will be at the Co-Op Gas Bar in Charleswood at 3425 Roblin Blvd. from 3 p.m. – 6 p.m. There, he will sign autographs for fans and will be selling his Buck’s BBQ Chips. In addition, Danny’s Whole Hog BBQ & Smokehouse will also be selling pork on a bun for $5. All proceeds from the sale of the chips and the pork on a bun will go to the Children’s Hospital Foundation of Manitoba.